Do you need a quick dinner idea for tonight? If you follow Meatless Monday, or need a bright, easy and quick side dish, you'll love my Red Peppers with Zucchini & Chickpeas. 1. Saute chopped red pepper in a bit of olive oil until the pepper pieces have softened and browned a bit. 2. 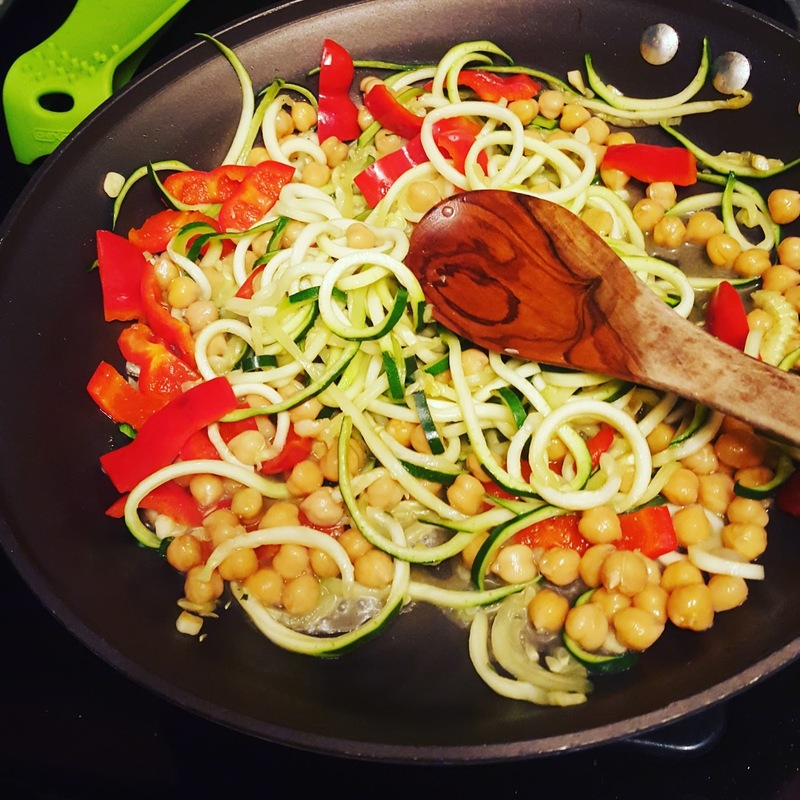 Add spiralized zucchini and continue to saute for a few minutes. Season with kosher salt. 3. Add chickpeas, chopped garlic and red pepper flakes with a splash of white wine and warm everything through and allow the wine to reduce. 4. Serve with a sprinkle of your favorite cheese and your choice of herbs.